Brigadier Cornelio Saavedra by Bernardo Marcel 1835. Mabuel Gral Belgrano by Pablo Ducros Hicken 1903. Gral San Martin bi Gil de Castro 1817. Gral Las Heras with Argentine Independence War officer uniform, oil paint canvas. 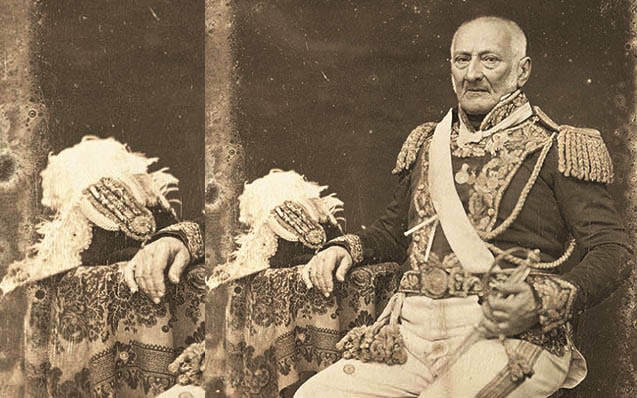 Right: Juan Gregorio Las Heras daguerreotype. with Chilean Army General around 1850, and French 1st Empire style General bicorn. iArgentine Confederation - Gral Pacheco (Independence War and War against Brazil veteran), oil paint canvas by Reynaldo Giudici. Giudici was an Italian born painter. The details of the uniform in his painting are really amazing. However, it must be taken into account that in his signature he says 98 (1898), and General Pacheco died in 1869. This general was the military strategist for the Argentine Confederation. Note the bicorne that he uses has a French-style "Tulip - Tulipan shape" feather holder like those used on shakos and helmets. Below: Feather holders and illustrations by Jorge Fernando Rivas. 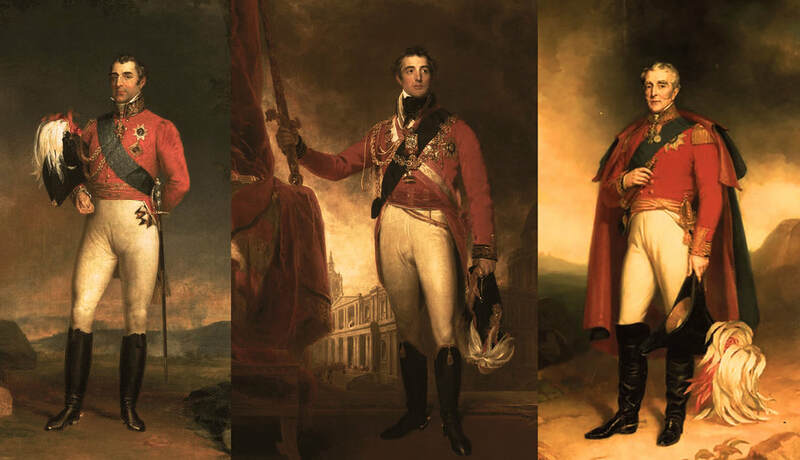 ​Arthur Wellesley, 1st Duke of Wellington wearing his bicorne with feathers attached by a feather holder. In Europe, this type of bicorne was reserved for the highest grade in the official scale, such as field marshals. The rest of the officers used the classic bicorne with fur beaver skin all around the edges. Argentine Confederation Officers: Daguerreotypes contemporaneous to the Battle of Caseros. 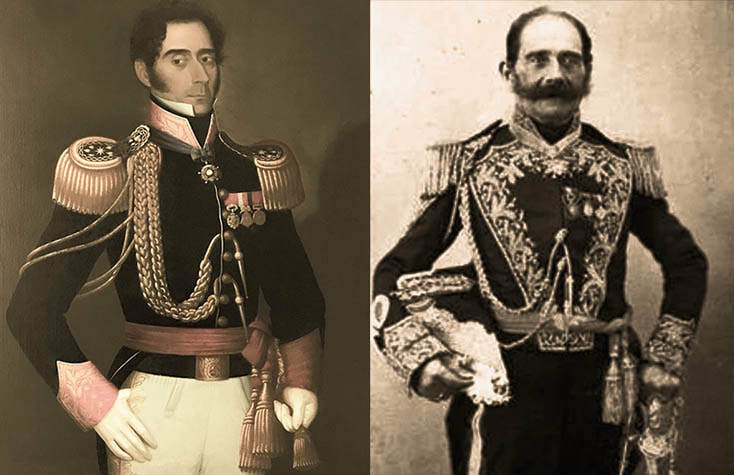 They show the complete uniforms of Coronels Pedro Jose Diaz (Chief of the Infantry) and Hilario Lagos (Chief of Cavalry). The details of the uniforms and especially the bicornes are very important. 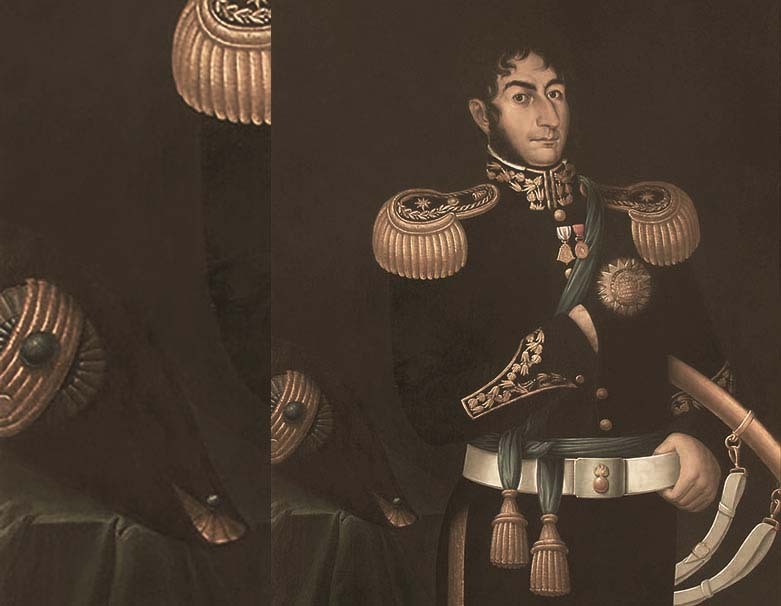 Probably Colonel Martiniano Chilavert, (Head of the Artillery) had the same pattern. The uniform of Colonel Diaz (Independence War veteran), is typical of the infantry officers of the Confederation, burgundy colored, with lapel and cuffs in blue with white piping. The jacket is like French regulation of 1812, a model that continued with some modifications until circa 1840. It carries the laces of honor of its military campaigns from the War of Independence to Caseros. Colonel Hilario Lagos (Brazil War veteran), wears the typical Argentine blue uniform of superior officers. 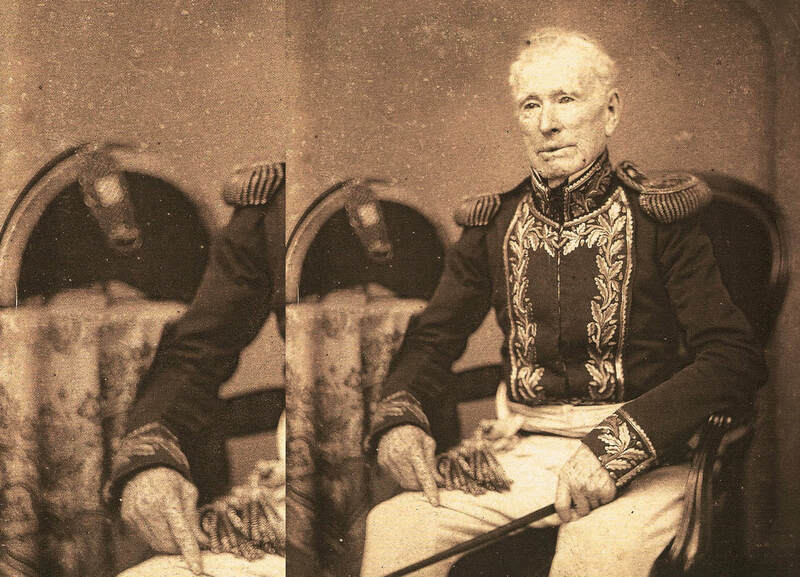 Daguerreotype of Admiral William Brown (Independence and Brazil War veteran). 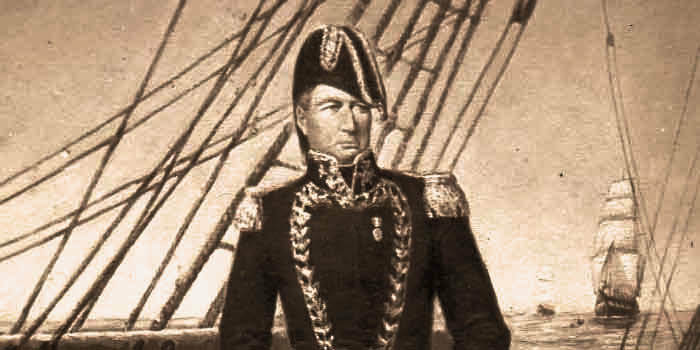 Note the early (Late 18th) naval cocked bicorn hat. Amazing find in number 399 of the magazine "Caras y Caretas" from 1/4/1905. 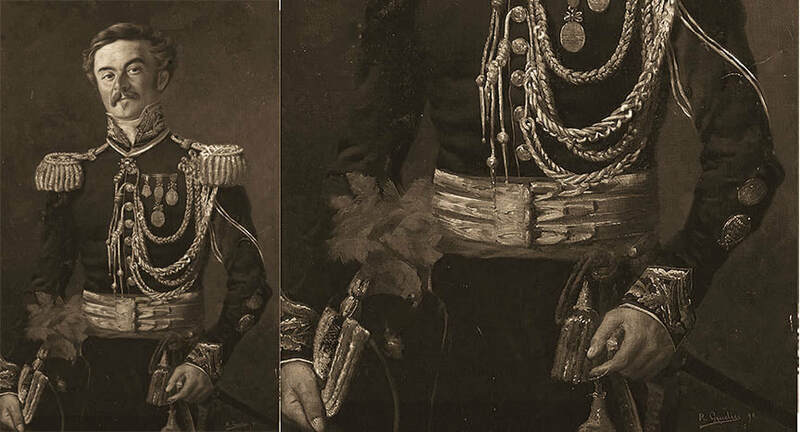 According to the magazine, this bicorn would have belonged to Brigadier General Lopez in 1858. Because of the position and shape of the stripes, it could have been a model of the Royal Navy of the 19th century, for Rear Admiral. Unfortunately the photo is not good quality to see more details. 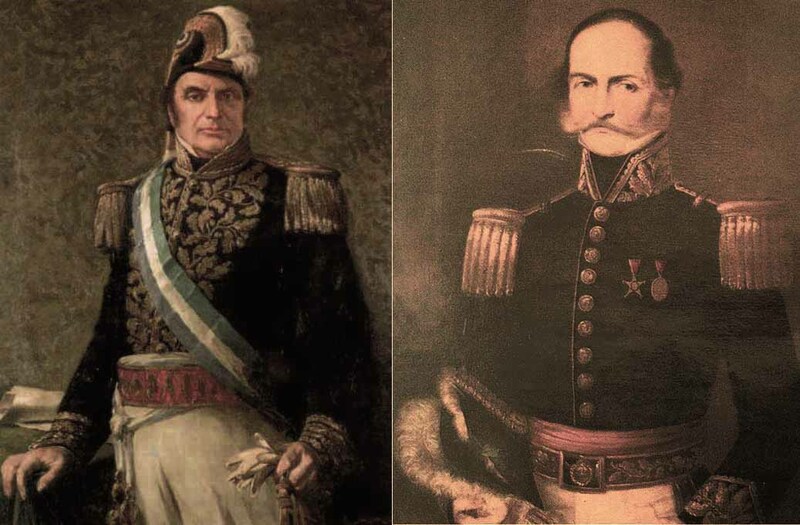 Left: Gral Justo Jose de Urquiza.Right: Gral Prudencio Ortiz de Rozas. Caras y Caretas 1899. Objects and personal belongings from General Urquiza. You can see garments of the most diverse origins, especially French ones, such as the bicorn model 1852 of General of the Second Empire. 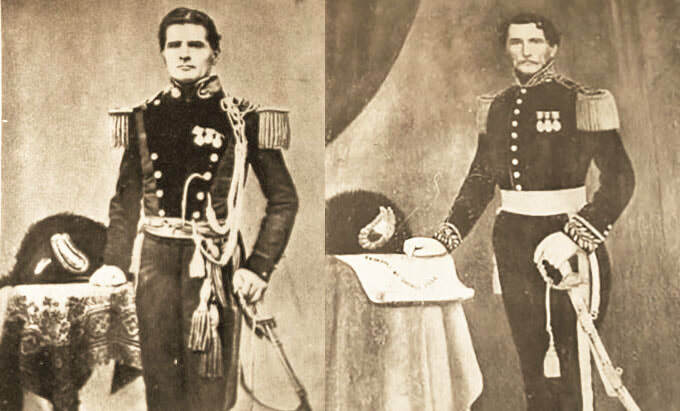 In the photo, the captured uniform of Lieutenant Colonel of the Peruvian Army, which former Argentine President Roque Saenz Peña used when he served as a volunteer between 1879 and 1884. The bicorn seems to be a French model from 1852, and probably the rest of the clothing is also of the same origin. Roque Saenz Peña, was the son of former President Luis Saenz Peña (1892 - 1895). Roque left the National Guard of Buenos Aires with the rank of commander, for political reasons and to join as a volunteer in the army of Peru, during the war of the Pacific. He became a prisoner and was transferred to the capital of Chile for six months. At the request of his family and the mediation of the Argentine government, a council of war was avoided because of his status as a foreign fighter. Upon his return to Argentina he was returned the nationality (lost after joining the army of another country) and was engaged in politics. Meanwhile, in Peru he was considered a National Hero and in 1885 he was promoted to Colonel. 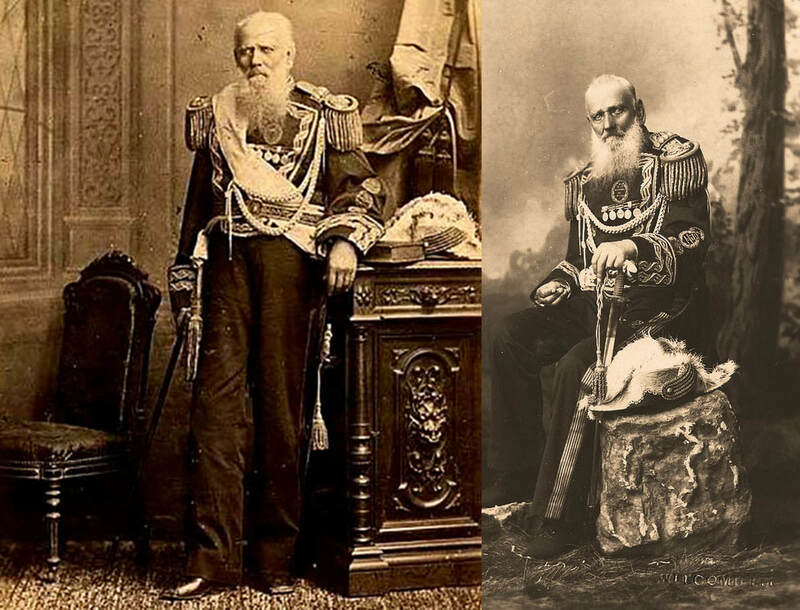 In 1910 he became President of Argentina and at the same time was General of the Army Brigadier General of Peru (promoted by the Peruvian Congress in 1905). 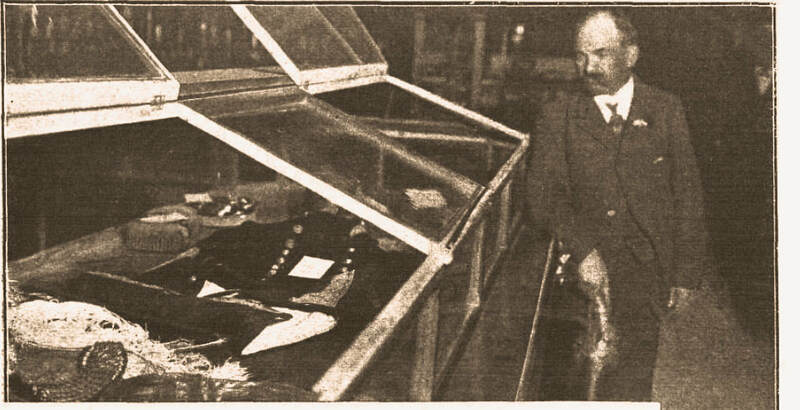 In the photo an official of the Museum of the Chilean Capital (who also had been a veteran of that war), giving a last look at the trophies of war, before being returned to Roque, when he was already President of Argentina. Photo: Caras y Caretas of 1910. Gral Julio Roca by Jenaro Perez.